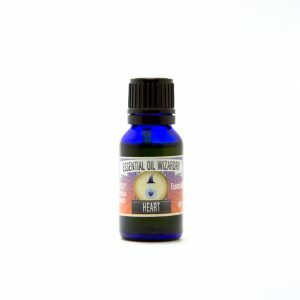 Powerful floral rosy notes which sit heavy and combine well with other essences, great extract for opening up the heart, forgiveness, skin care, balancing hormones and elevating the mood. With Rose-Geranium is a very popular tool in social circuits which I gravitate through. Rose-Geranium is an incredible tool for forgiveness, especially useful in transitioning relationships. 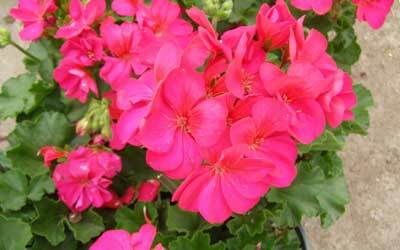 Personal experience gauges that Geranium lets go of attachment to the anger in a transitioning relationship. It softs the bitterness and releases the intrinsic pain from the story and allows the individual to focus on themselves… their needs, wants & desires. From this softened space, a new third-party perspective may be gained ~ very helpful for recreating the relationship in a new/different way. I've never understood anger and disengagement post romantic relationships… Rose-Geranium can help with that! I rub the pure oil into my hands, move my hands in front of my heart (auric field) and then rub them over my heart/chest over about 10 seconds. Energy seems to release and targeted individuals tend to experience a “lightness”. 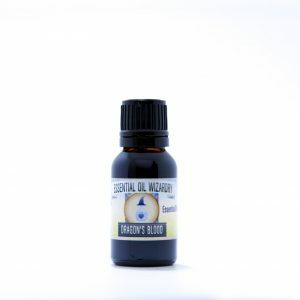 Geranium is also touted for it's hormone balancing properties and has been studied in skin care/body care applications. With anti-fungal & anti-microbial properties, geranium is a powerful additive with other essences to create natural therapeutic solutions. The scent of some geranium batches can be strong and off-putting for some noses… geranium can be hit or miss. Rose-Geranium from South Africa is very sweet and the geraniol is well-rounded by the other constituents. Feedback on this source of geranium is that it is well received by many folks that don't love geranium. Geranium can be used as a botanical perfume, either alone or in conjunction with other essences. Not recommended for use on sensitive skin. Best infused into a carrier oil if to be worn on the body. Flavor profile is out of this galactic world – try mixing into or topping onto chocolate. I also love infusing geranium into fractionated coconut oil to produce a heart-healing massage oil. Also stoked on using it in a diffuser to warm a room with love. There's magick to be discovered here! Rose-Geranium is perfect for botanical perfumery and should be mixed gently (geranium easily dominates a blend). Place several drops onto blotter paper with your clothes drawer to love up your wardrobe. Rub over your auric heart in front of your chest and on top of your heart to lighten emotional pain / sadness. 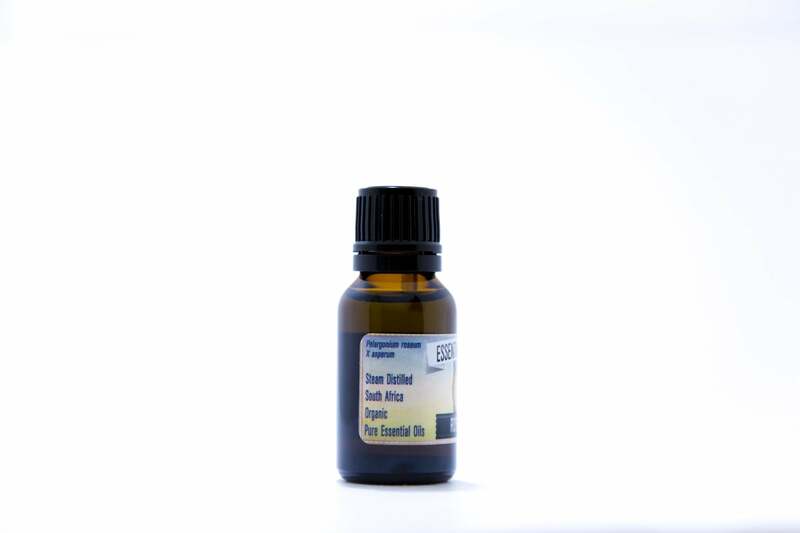 Infuse into coconut oil 5-10% and swish daily to combat oral thrush (candida) symptoms – helpful when combined with tea tree, thyme or oregano. Geranium lifts a room – 3 drops in a diffuser to elevate the ambience. Experiment with lavender & orange. Infused into club soda creates interesting beverages – Infuse into a carrier oil at 1-10% (lower concentration may be more suitable for most individuals) to create a loving massage oil (option available – select 2 oz “massage oil”). This massage oil may be used during menstrual cycle to help ease cramps and tone the reproductive organs – massage over the lower abdomen or add 4 drops to a warm bath. 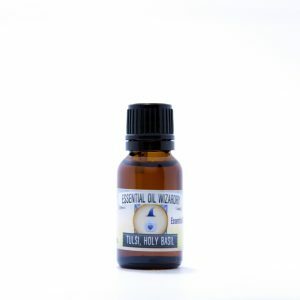 Try 1-3% for a facial skin-care oil using fractionated coconut oil or apricot kernel oil, drying and effective against acne and beautifying the skin. Wear a few drops on the clothes to infuse smiles into your daily adventures. 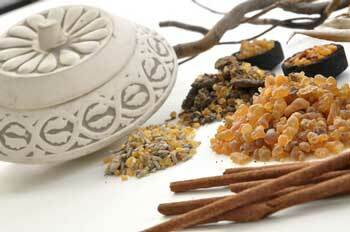 May be helpful at low concentration during hemorrhoids, applied topically. May irritate the skin in some sensitive individuals – start of with skin patch test. Contraindicated in first trimester of pregancy. Scent: Heavy & rounded, sweet floral notes: rosy in nature.